Have you ever gotten on a leaking bus ? 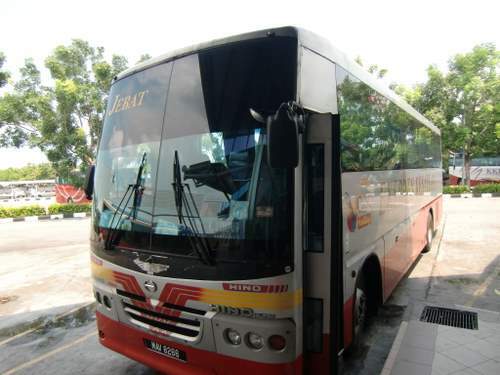 My wife and I took a bus to go to Kuala Lumpur from Malaｃｃa about one year ago. When we got on the bus, it started raining. After about 30 or 40 minutes, I felt a raindrop dripping on my hand. When I glanced at the ceiling, I saw water leaking from there. I had never seen such a bus ! The floor was soaking wet due to the leak. so the passengers including 2 of us could move to avoid the raindrops. Anyway, this experience told me that even if I'm in a bus, I have to have an umbrella. The bus has been delayed.